The law firm of Harrison & Medlin, P.C., provides advice, services and representation to people in matters involving family law and divorce, criminal defense, personal injury and probate. We have extensive experience, and the knowledge, skills and resources needed to get the job done. The law firm serves clients throughout the Augusta and Central Savannah River areas from its offices in Evans and Lincolnton, Georgia. 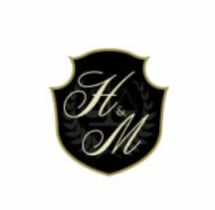 In the area of criminal defense, the law firm of Harrison & Medlin, P.C. provides vigorous representation for people accused of felonies and misdemeanors, including DUI, drug crimes, fraud and other crimes. The firm also provides services and representation in cases involving serious personal injuries and probate law. We pride ourselves on the compassionate care and responsive service we provide to clients. In the legal arena, we are strong advocates who do not compromise when it comes to protecting our clients' rights. Whatever the nature of your legal problem, we will be your strong advocate — protecting your rights and standing with you in your time of need. For a free consultation with Harrison & Medlin, P.C., call 706-250-7653. Harrison, Medlin & Quesenberry, P.C.